Money talks. So what is our money saying about us? Each year, BlackRock’s Chairman and CEO, Larry Fink, writes a letter to CEOs of “leading companies” in which BlackRock’s clients are shareholders. Last year’s letter encouraged long-term thinking in the context of a world that is increasingly focused on short-term volatility. This year’s letter strikes a similar tone, but goes a step further in mentioning environmental, social, and governance (ESG) matters as factors CEOs should be considering in their long-term strategies. Socially responsible investing (SRI) is gaining traction among investors. Is this just kumbaya investing or is it for serious investors, too? Why would anyone do this? On the other hand, why would anyone NOT do this? ESG and SRI are sometimes used interchangeably, but they are different. SRI is the broad overarching investment thesis of the movement. ESG filters this mandate through three lenses, environmental, social, and governance. SRI is open to personal interpretation just like the groundbreaking work by the 20th century philosophers Bill S. Preston, esq. and Ted “Theodore” Logan when they proposed that we all “Be excellent to each other“. ESG is like Superman’s fight for “Truth, justice, and the American way“. They’re both heading in the same direction, it’s just that Superman has more structure than Bill and Ted. Ok, so you want to invest in companies that are making the world a better place. How do you do that? You can use positive or negative screens. A positive screen weights investments according to the selected factor while a negative screen completely drops investments that don’t meet certain criteria. For example, a positive screen might have a small weighting to Exxon while a negative screen would remove it completely. Speaking of Exxon, how does an ESG screen balance the company’s carbon footprint against its work in renewables? Exluding Exxon would exclude a world leader in green tech, too. This is something to find out before committing to one ESG strategy over another. Does this Make Financial Sense? 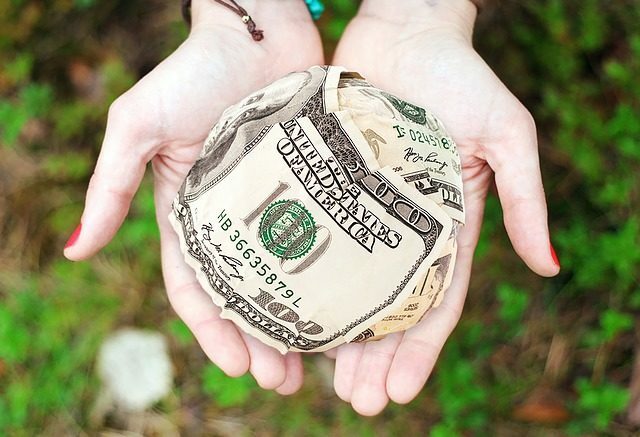 Is it worth it to be a socially responsible investor? Does it add or detract from returns? The results are mixed, partially because there is no ONE way to implement SRI. Diversification and sector weighting are concerns, especially when certain sectors like tech and energy largely screen one way or the other. A no-carbon portfolio will look great if energy stocks are down, but will trail if energy takes off. Meanwhile, a positive screen that follows traditional cap weighted sectors might follow market returns more closely. On the other hand, shouldn’t a governance screen be additive no matter what? Governance news is always a negative surprise. For now, when I think of SRI or ESG, I question how big of a difference this is really making. Is it virtue signalling on the part of investors (and companies that tout themselves as socially responsible)? I don’t think companies care who holds their stock so divesting from a company seems low-impact to me. I like Larry Fink’s strategy of open communication, not just with SRI, but in all facets of corporate communication with shareholders. Dollars are felt more clearly through active giving of time and money to causes we believe in. Likewise, not spending dollars on a company’s products is a way for consumers to vote in a very real way. SRI seems passive-aggressive in comparison. I recently spoke with a money manager who was consulting with a family office. The family was picking his brain about SRI so he asked about the particular values they were looking for. He then asked them to set their cellphones on the table. All the phones were from the same company that had recently gotten bad press regarding conditions for its workers in China. So where do our priorities truly lie? One of the hardest things to do in investing is to stick to a financial plan. If knowing their money is invested using an ESG filter helps people do that, I’m for it. That is a true left of the decimal impact on investors’ portfolios and may provide some peace of mind.